Preheat oven to 325 degrees. Mix first four ingredients and place into a 9 inch square baking dish. In a small bowl mix topping ingredients and sprinkle over the apples. Bake until apples are soft, about 30 minutes. Baked apples slow cooked not only taste great, but they make the whole house smell wonderful while they cook 🙂 This recipe is simple to do, yet has an elegant presentation. Though the recipe does not call for it, try adding some cinnamon or nutmeg for a different flavor combo. Please apples skin side down in a slow cooker. Place a dot of margarine on each. Pour juice and vinegar mix over the top and cook on high 2-3 hours or until soft. Remove apples to a plate and pour the juice in a pan. Bring juice to a boil and cook on high 5 minutes to reduce to a syrup. Whip milk and maple syrup in an ice cold bowl for 3 minutes. 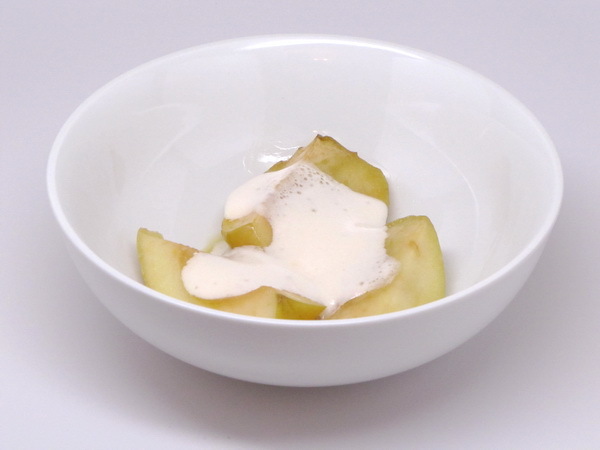 Top each apple piece with 1/4 of the cream and drizzle with the fruit syrup. Alternately, skip the milk and just add some maple syrup over the top of the apples for another version of a great dessert for a cold night. Preheat oven to 400 degrees. 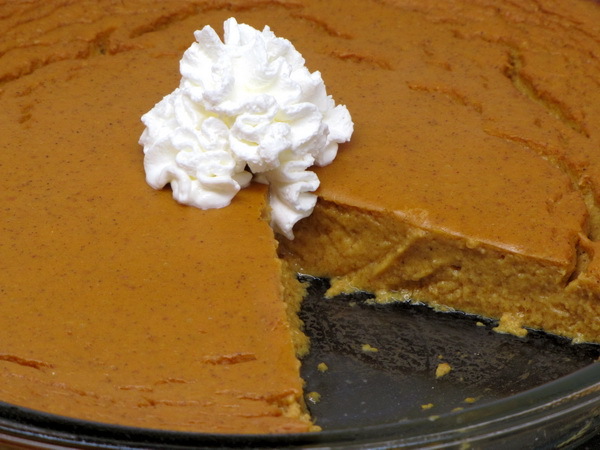 Spray a pie plate with Pam. Mix all the ingredients in a bowl and then pour into the plate. Bake for 15 minutes. Then reduce the heat to 325 degrees and cook for another 40-45 minutes. Cool completely. 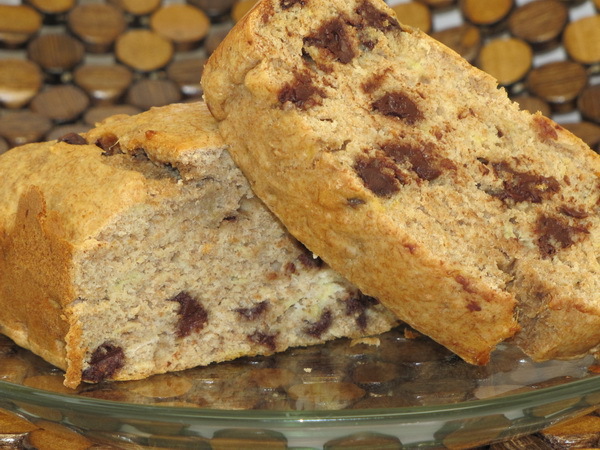 This is a much healthier version than my Grandma’s banana bread recipe. But I tell you, it tastes just a good! And one slice is very satisfying. If you remove the chocolate chips from the recipe, you bring it down to 140 calories per serving ! Preheat oven to 350 degrees. Combine flours, Splenda, baking powder, cinnamon and salt and mix well. 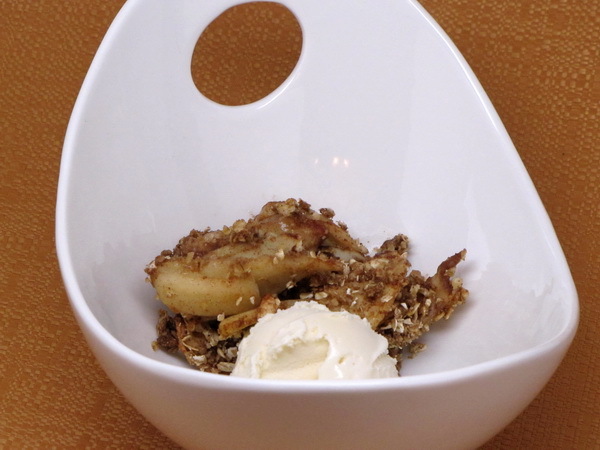 Combine banana, Egg Beaters, applesauce and vanilla. Add the wet mix to the dry mix and with a wooden spoon, stir until just blended. Pour into a loaf pan (ungreased) and bake for 50 minutes. Allow to cool slightly and then remove from pan.